Bishop Pat Power, recently retired auxiliary of Canberra-Goulburn archdiocese, has recalled “the influence on Vatican II of Joseph Cardijn”. Writing in CathNews, Bishop Power was recounting his experience in Rome for the celebration of the 50th anniversary of the opening the Second Vatican Council. “A week earlier, I had prayed at the tomb of Pope John XXIII in St Peter’s Basilica and was moved to tears as I contemplated the great contribution he and the Second Vatican Council had made to the life of the Church and its impact on the contemporary world,” Bishop Power wrote. “Prior to the Mass, I had a chance meeting with Australian, Devett O’Brien, Secretary General of the International Young Christian Students movement. 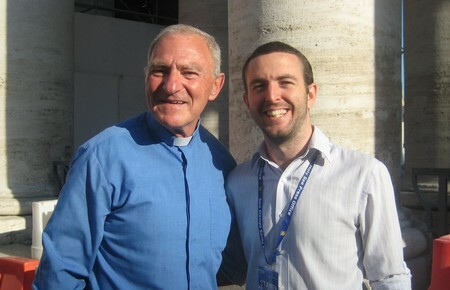 “That meeting reminded me of the influence on Vatican II of Joseph Cardijn, founder of the Young Christian Workers. The YCW method of See, Judge and Act is very much in harmony with John XXIII’s call for us all to “read the signs of the times”. “As I left Rome, I felt privileged to have experienced an historic moment of grace on 11 October 2012 and I had hope in my heart for a new flowering of Vatican II which would more clearly enable the Church to show its best self in witnessing to the love of God and showing the face of Jesus to a world hungering for meaning,” Bishop Power concluded.